A perfect hotel to enjoy your holidays! Discover the BlueBay Beach Club, the perfect hotel for family holidays located in a very pleasant setting. 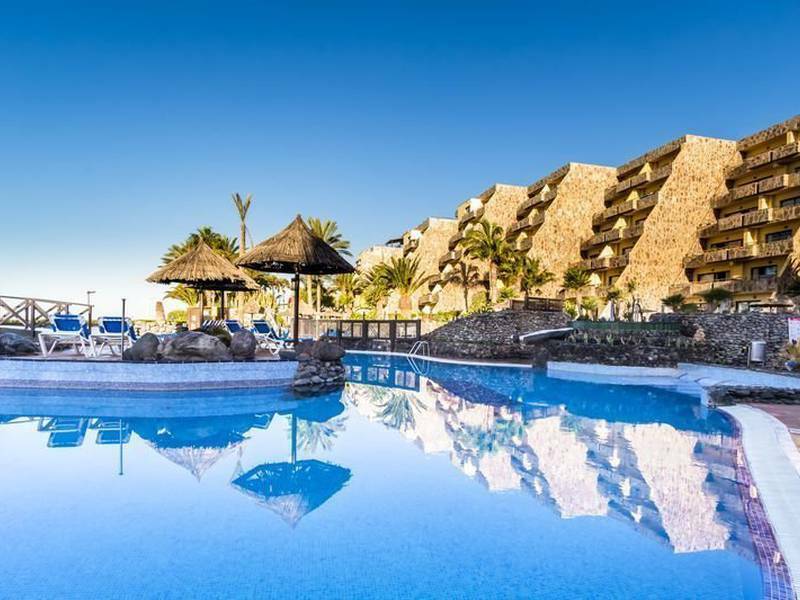 If you seek a relaxing holiday, we recommend visiting this 4-star hotel in Gran Canaria. BlueBay Beach Club stands out for its privileged location in a very relaxing zone, on the seafront and in the private residential area of San Agustín. The all-inclusive service has been created so you do not have to worry about a thing on your holiday. Just sit back and relax in our pool with a kids area and Jacuzzi or try the specialties we offer in our La Hacienda restaurant. In addition, the BlueBay Beach Club offers a fully-equipped gym, free parking, water sports and a spa & wellness centre. Enjoy a unique stay on the Atlantic coast and book your stay at the best price online on the official website of the BlueBay Beach Club located in the south of Gran Canaria. The apartments of the BlueBay Beach Club stand out for their spaciousness and comfort. All of these boast a terrace, most of which are seafront-facing, perfect for when you wish to admire gorgeous sunsets during your holiday. This is the ideal choice for couples or small children. These apartments are spacious, comfortable and are equipped with A/C, a kitchenette, terrace, independent lounge and flat screen TV. This apartment offers plenty of space for family holidays. Here, you will discover a lounge, spacious and bright terrace and a fully-equipped kitchenette so you can make your own meals and spend quality time together without having to leave your apartment. This apartment offers more privacy and comfort for your family holiday or friends’ getaway. The bedrooms boast plenty of space with a double bed and two twins and private bathrooms with a shower and bathtub, in addition to cable or satellite TV. If you are looking for a premium stay with your friends or family, these apartments are perfect for you as they boast spacious and separate bedrooms with en suite bathrooms. In addition, you can admire spectacular sunsets thanks to the spacious terrace that is equipped with hammocks and parasols. 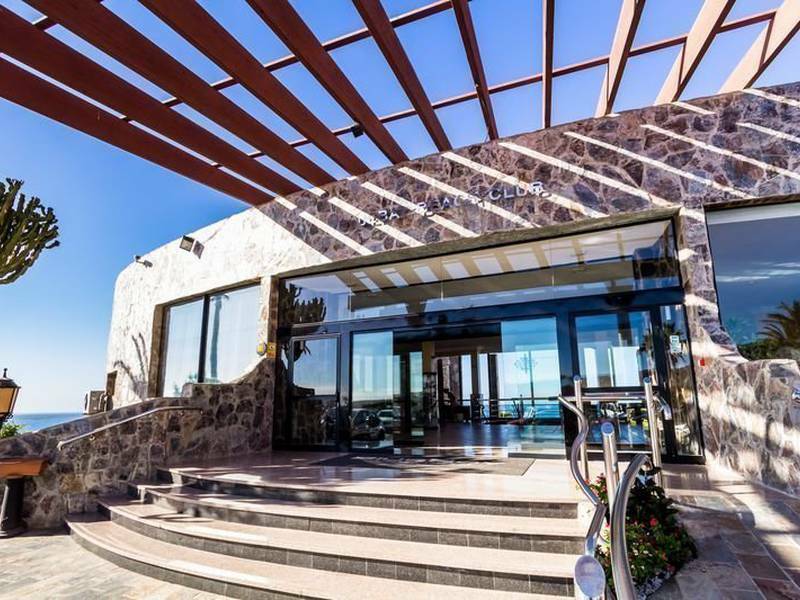 Discover the location of our hotel in the best place in Gran Canaria through the photo gallery of the BlueBay Beach Club. Explore the incredible location of the BlueBay Beach Club, our spacious apartments, restaurants, bars and pool. Consult all the available offers of the BlueBay Beach Club for our 1 or 2-bedroom apartments and suites equipped with a terrace and Jacuzzi. Book in advance and you could get up to 30% off your stay. The best prices on the official website only! 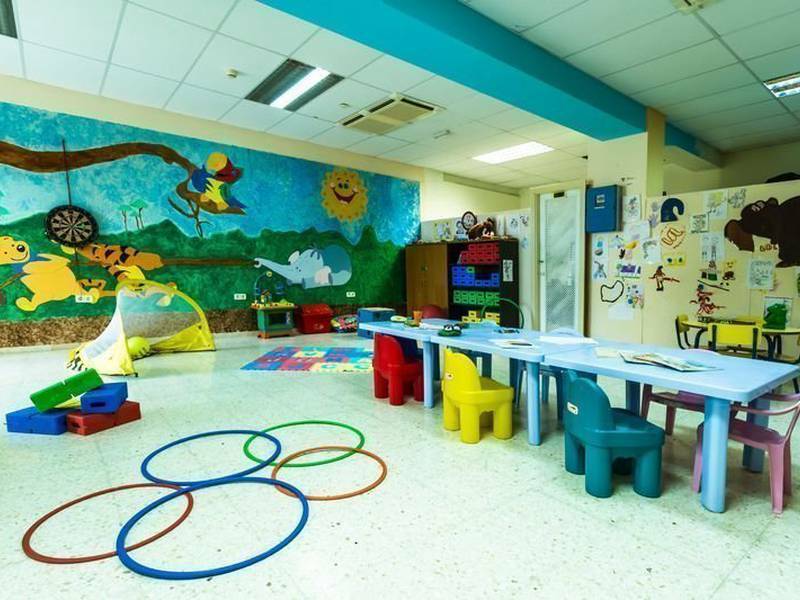 All the family can enjoy a complete holiday experience at the BlueBay Beach Club thanks to its vast array of services. These include: a pool, snack bar, Jacuzzi and views of the sea and the lush gardens, making complete relaxation inevitable. If you wish to stay in shape, we invite you to discover the fully-equipped gym that features a sauna or go windsurfing, diving, paddle surfing, cycling or hiking in the incredible natural surroundings of the BlueBay Beach Club. We also offer free parking, a children’s park, supervised children’s activities and a diverse selection of professional shows. The BlueBay Beach Club boasts an excellent location on the seafront and in a quiet residential area, only 6 miles away from the Maspalomas beach (where you will find incredible beach dunes) and 12 miles away from Gando airport. Other sights are Playa del Inglés and the historical city of Telde. Paseo Pablo Picasso, 6. San Bartoloméde Tirajana. España. The BlueBay Beach Club is the perfect place for unwinding in with friends and family as it is located in a quiet residential area in the south of Gran Canaria. Discover a relaxing paradise on the Atlantic oceanfront and feel free to contact us at any time on the official website of the BlueBay Beach Club. Thebluebaybeachclub.bluebayhotels.net website is owned by BLUEBAY HOTELS, company incorporated in Dubai, United Arab Emirates. On this website (bluebaybeachclub.bluebayhotels.net), an ongoing commitment is taken with regards to the personal data of subscribers, contacts, customers and the best practices are guaranteed as far as the use of personal data is concerned.